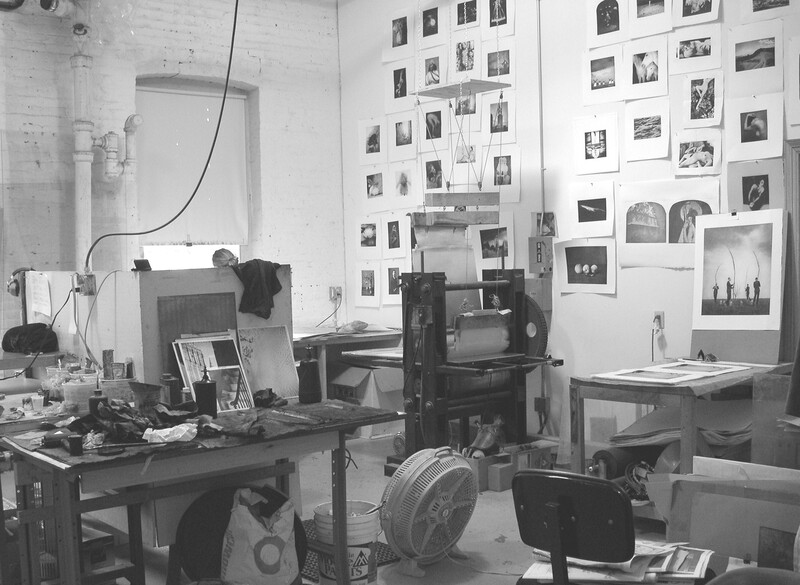 The studios of Jon Goodman~Photogravure are located in a 19th century factory building in Florence, MA. 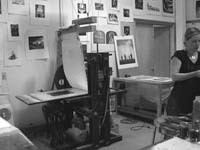 The facility consists of approximately 2200 sq.’ of space divided into a large pressroom with two 24” wide etching presses, an ink making area with a three roll mill, plate cutting and beveling machines, a fully equipped darkroom, a platemaking room, office and a curating area with storage space. 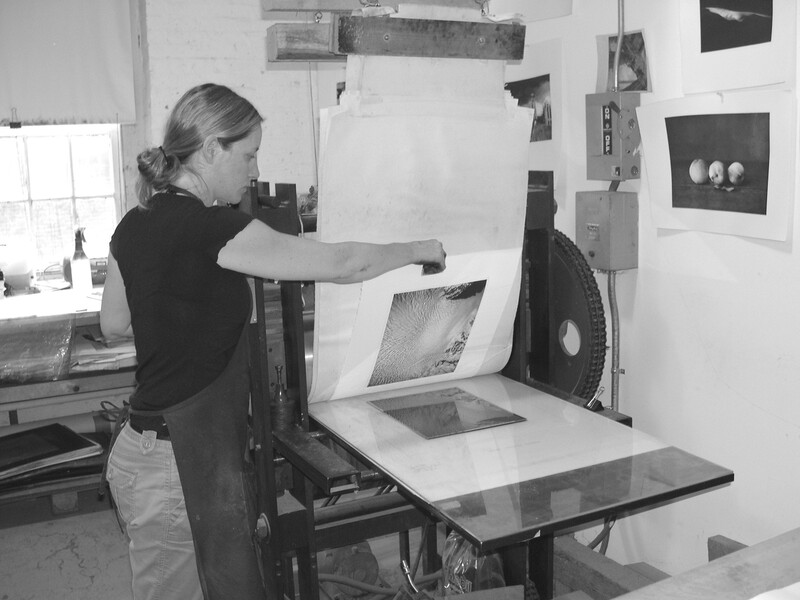 Jon Goodman ~ Photogravure originally began in 1980 as the Photogravure Workshop, a part of the Aperture Publishing Foundation, in Millerton New York. In 1984 Jon Goodman moved from Millerton to Hadley Massachusetts. He established Jon Goodman~Photogravure in Hadley and was affiliated with Wild Carrot Letterpress and Horton Tank Graphics. In 1998 the move was made to a larger space in the Arts and Industries building at 221 Pine St. Florence. 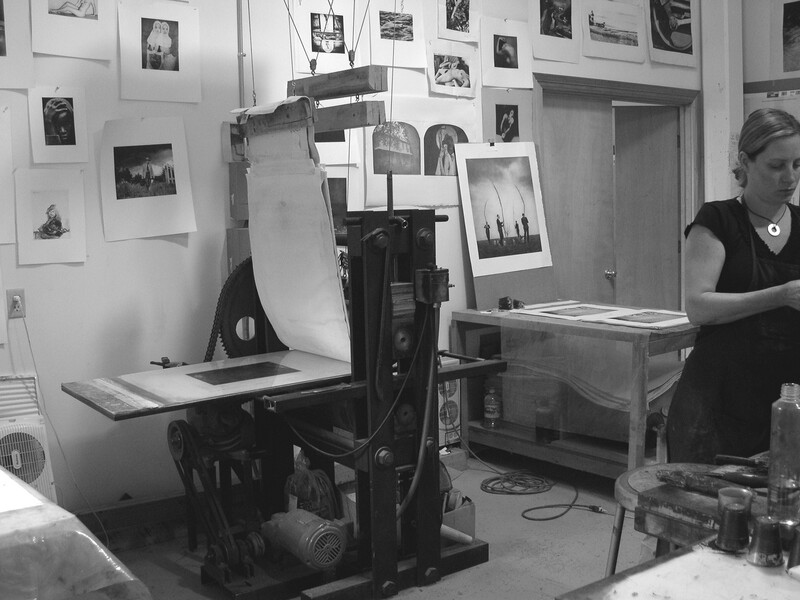 Jon Goodman~Photogravure specializes in the Talbot Klic photogravure technique. 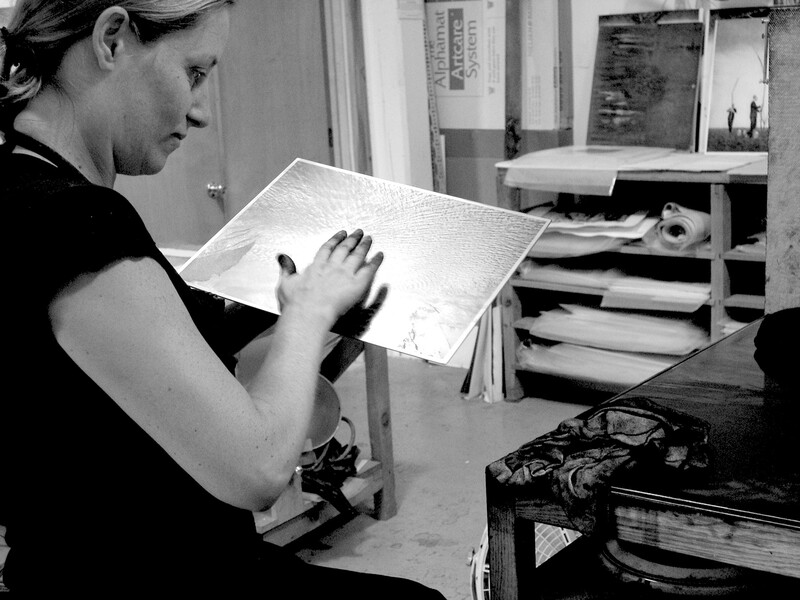 In pursuit of this there is a custom- made 24” slow speed powered etching press. Additionally extensive research has been made into ink manufacture in search of inks yielding the longest tonal range and most luminous values. Over the course of more than 25 years, projects have been done for clients ranging from the Estates of Paul Strand, Alfred Stieglitz, and Walker Evans to Tracey Moffat and Robert and Shana Parke Harrison. Jon Goodman~Photogravure was founded with the object to revive the photogravure process and to create beautiful and luminous photogravure prints. In 2002 The Fondation William Cuendet and Atelier de Taille Douce organized an exhibition titled Graver la Lumiere at the Musee Jenisch, Vevey, Switzerland of the work done by Jon Goodman~Photogravure. A 128 page catalogue was published for the exhibition and is available.